In this appeal against the decision to refuse, the applicant filed amended claims in response to the summons for oral proceedings, aiming to overcome the Art.84 and Art.123(2) objections in the preliminary opinion of the Board, and further amendments in the course of oral proceedings. The Board did however not admit the amended claims into the proceedings, as very late amendments are required to be very clear. The impugned decision was remitted to the post on 1 October 2010. II. In the "Reasons for the decision", the examining division held that the subject-matter of independent claims 1, 6, 7 and 8 of the sole request then on file was not new in the sense of Article 54(1),(2) EPC 1973 in view of document D6 (Hyen-O Oh et al., "Proposed core experiment on pilot-based coding of spatial parameters for MPEG Surround", ISO/IEC JTC1/SC29/WG11, 13 October 2005, Nice, France). Document D6 was considered to be part of the prior art as a consequence of the finding that the claims to the priority of 5 October 2005 (P2, US 60/723,631) and of 13 October 2005 (P1, US 60/725,654) were found invalid. The examining division further stated that the claims of the then pending request did not fulfill the requirements of Article 84 EPC 1973 and Article 123(2) EPC. III. The notice of appeal was filed on 30 November 2010. The appeal fee was paid on the same day. The statement of grounds of appeal was filed on 1 February 2011. IV. With the statement of grounds of appeal, the appellant requested that the decision under appeal be set aside and, as a main request, that a patent be granted on basis of a set of claims 1 to 12 as filed on 16 August 2010 as then auxiliary request I, i.e. the set of claims underlying the impugned decision. As an auxiliary request, the appellant requested that a patent be granted on the basis of a set of claims 1 and 2 filed with the grounds of appeal. As a further auxiliary request, the appellant requested that oral proceedings be appointed. V. Summons to attend oral proceedings were issued on 10 March 2016. In a communication of the Board pursuant to Article 15(1) RPBA issued on 21 April 2016, the appellant was informed of the provisional opinion of the Board with regard to the requests then pending. In particular, the Board observed that the claims of the main request did not appear to fulfill the requirements of Article 84 EPC 1973 and Article 123(2) EPC. The observations of the Board relied, primarily, on the finding that the terminology used throughout the claims was unclear as such and on the fact that no clear basis could be found for the combination of features actually claimed. With regard to novelty and inventive step, the Board agreed with the examining division on that the claimed invention did not enjoy the priority of documents P1 and P2, so that D6, which appeared to reproduce the essential features of the claimed coding/decoding system and method, was part of the prior art in the sense of Article 54(2) EPC 1973. Similar issues were raised with regard to the auxiliary request. VI. In a letter of reply dated 6 May 2016, a new auxiliary request was filed. It replaced the previous auxiliary request which had been filed with the statement of grounds of appeal. Arguments in support of the new auxiliary request were also presented. VII. Oral proceedings before the Board took place on 18 May 2016 in the presence of the appellant's representative. During the oral proceedings, the Chairman of the Board observed that the appellant had not reacted to the comments expressed by the Board in its provisional opinion with regard to the main request. Concerning the new auxiliary request filed with letter of 6 May 2016, doubts concerning its admissibility under article 13(1) RPBA were expressed, since it was late filed, referred to complex subject-matter and since the clarity issues affecting the main request still applied. The Chairman of the Board stressed that late filed requests would normally be admitted in appeal proceedings only if they solve prima facie all pending issues. In the course of the oral proceedings, a new request was filed replacing all previous requests on file. Claim 1 was not specified. The appellant had indicated in the space normally devoted to the wording of claim 1 the mention "(to be elaborated in case of admissibility)". "2. A computer-readable medium comprising code portions which, when executed on a processor, configure the processor to perform all steps of a method according to claim 1". This decision is issued after the entry into force of the EPC 2000 on 13 December 2007 whereas the application was filed before this date. Reference is thus made to the relevant transitional provisions for the amended and new provisions of the EPC, from which it can be derived which Articles and Rules of the EPC 1973 are still applicable to the present application and which Articles and Rules of the EPC 2000 are to apply. When Articles or Rules of the former version of the EPC are cited, their citations are followed by the indication "1973" (cf. EPC, Citation practice). The notice of appeal and the statement of grounds of appeal comply with the requirements of Articles 106 to 108 EPC and Rule 99 EPC. The appeal is thus admissible. 3.1 During the oral proceedings before the Board, the appellant filed a new request, replacing all previous requests on file. In the appellant's view, the new request constituted an attempt to meet the objections raised by the Board in its provisional opinion against the allowability of the main request then on file and to resolve the doubts expressed by the Board regarding the admissibility of the auxiliary request then on file. The Board remarks that the mere fact that the wording of claim 1 of the new filed request was missing would normally have led to the rejection of the request as inadmissible. The Board, however, accepted, by way of exception, that the debate concerning the admissibility of the new filed request focused, first, on the merits of claim 3, acknowledging that claim 1, which was intended to define the corresponding method, could have been elaborated at a later stage, if necessary. 3.2 Under Article 13(1) RPBA, "Any amendment to a party's case after it has filed its grounds of appeal or reply may be admitted and considered at the Board's discretion. The discretion shall be exercised in view of inter alia the complexity of the new subject matter submitted, the current state of the proceedings and the need for procedural economy". It is generally accepted practice that the subject-matter of late filed requests should be such that it can be easily understood and regarded as allowable. A new request would be considered admissible, if the claims it encompasses solve all previous issues raised by the Board or in the impugned decision and do not give rise to any new objection (cf. case law of the Boards of appeal of the EPO, 7th. edition, section IV.E.4.4.2, first paragraph). This is not the case. 3.2.1 Firstly, the Board is not convinced that concepts like "spatial information estimating part" and "spatial parameters", as they appear in claim 3, have a generally recognised meaning. In particular, the indication "the spatial parameters including at least one of a channel level difference, inter-channel correlation, and channel prediction spatial parameter" suggests that said parameters may include some additional undefined information. Claim 3 finds its basis in the embodiment corresponding to Figures 24 and 25. However, in the absence of any reference in claim 3 to the "Channel Downmixing Part" of the apparatus as illustrated in Figure 24, the present wording suggests that the "Spatial Information Estimating Part" should also incorporate data corresponding to said channel downmixing part. Similarly, in the absence of any reference to the "Core Coding Part" of Figure 24, the claim suggests that the corresponding processing is performed by the "Spatial Information Coding Part". This leads to a lack of clarity (apart from doubts whether the requirements of Article 123(2) EPC are met). 3.2.2 A further lack of clarity results from the reference in claim 3 to "a pulse code modulation, PCM, coding part configured to PCM-encode the spatial parameters with a PCM coding scheme by a group part". In particular, the reference to "a group part", without specifying how and according to which criteria data elements would be grouped, does not permit to clearly identify the resulting features inherent to the coding process. In the preliminary opinion issued by the Board (cf. point 2.3.1, fifth paragraph), the attention of the appellant had already been drawn to the fact that the notion of group had no recognised meaning in the context of the independent claims then on file. The Board further observes that the description does not provide any clear definition of a group of data elements since it relates in the section starting on page 48, line 9 to page 72, line 2 to various techniques of "Grouping" which might also be combined. 3.2.3 The Board also observes that the description consists, essentially, in a large collection of so-called "embodiments of the invention", actually referring to various aspects of signal coding techniques, without providing any clear teaching as to how these various techniques are to be combined in one invention. Although claim 3 appears to focus, more concretely, on the embodiment of Figures 24 and 25, the description, as a whole, makes it difficult for the skilled reader to appreciate what is the invention for which protection is sought. 3.3 For these reasons, the request filed by the appellant during the oral proceedings does not prima facie meet the requirements of Article 84 EPC 1973. Hence, exercising its discretion under Article 13(1) RPBA, the Board did not admit the request into the appeal proceedings. 4. In the absence of any admissible request, the appeal must be dismissed. This decision T 360/11 (pdf) has European Case Law Identifier: ECLI:EP:BA:2016:T036011.20160518. The file wrapper can be found here. 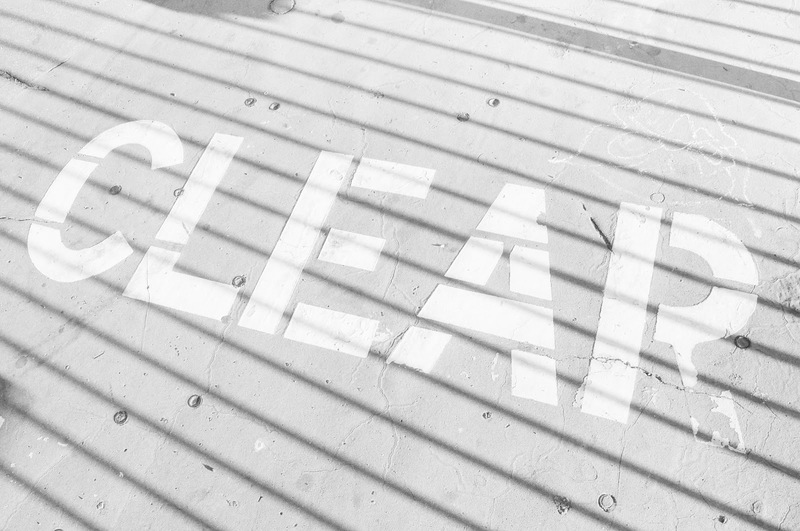 Photo "Clear - you don't have to read betrween those lines" by David Goehring obtained via Flickr under CC BY 2.0 license (no changes made). The decision does not come as a surprise. It should by now be abundantly known by now that the appeal procedure is not continuation of the first instance procedure, be it examination or opposition, and the later a request is filed, the lower are the chance of it being admitted. The Boards apply their rules of procedure stricter and stricter. Those are now at least 10 years old. That a filed request should at least be such that it overcomes objections raised up to date is nothing new, see for instance T 2422/09, T 642/04, T 340/06 or T 1678/11. The Board has even been quite generous in that it accepted to discuss claim 3 of the request in the absence of a corresponding claim 1. Applicants and proprietors should not be surprised to see applications refused or patents revoked, simply because they have not been diligent enough. These (repetitive) didactic comments also don't come as a surprise. Things that look procedurally questionable may ACTUALLY be rational (or at least understandable) in a commercial context, which is where patents derive most of its value (if any). Disclaimer: I use to work for the involved firm, but the above opinion has only strengthened/been confirmed in my subsequent in-house years. We do what we have to do. The applicant may well have known that his request had a low chance of succeeding, but nothing ventured, nothing gained. On the other hand, reading decisions like the one above help me to keep abreast of the trends and anticipate on them. I may still file a late request, but at least I know what may happen to it. What exactly is the point of citing previous decisions in arguing that the outcome of a certain case was correct? Cases are decided upon based on the circumstances at hand. And yes, they vary per case. I don't think the outcome of Board decisions are a gamble unrelated to any doctrine, and I apologize if I gave that impression. On the whole, I view the quality of the boards very highly. These are smart people that decide with integrity. Nevertheless, attorneys and board members have different tasks. I think of isolated decisions as representing the things that can happen—since in fact it did happen at least once. Some results happen so often that it is virtually certain that they will happen. Citing previous decisions is useful to me since it tells me where I am on the scale between possible and virtually certain. An attorney cannot foresee what will happen. A request may be on the cusp between clear and not-clear, prima facie relevant and not so relevant. It is not the task of the attorney to make the call, but to present the request in the best possible light. It is the task of the board to decide fairly on the request. In short, I don’t see a contradiction between pragmatically trying the best you can in a difficult situation and having a genuine interest in EPO patent law and how it is developed in the case law. Personally, I do not tire of ‘didactic comments’ in the least, and in fact welcome them—so long I’m still allowed to foolhardy try every last possibility to save a lost cause. I meant to say that citing a number of previous cases, like the original poster did, has argumentative value only when building a case before a Board. After a decision has been taken, any such value is lost, or can only be used to substantiate a "told you so". But moving targets and corporate politics have no place in a proper procedure. Those who want to adapt their patent application on the go to match a moving target are very close to abusing (at least in my view) the patent system and deserve no sympathy. And an applicant that allows corporate politics to influence its patent cases is just plain stupid. No sympathy either. Sympathy for the patent attorney who finds him/herself in an impossible position, of course. Yes, and many of the comments appear to have a moral stance, as if the applicant is sinning, which I find laughable. Procedure is procedure (which people cloak themselves with in taking normative positions), but applicants are the ones funding the whole operation. My main point is commercial value is what mainly drives applicant choices, not procedural niceties. Once I understood this, everything made more sense. I am the author of the first comment. I stay by it. And if you do not like it, then skip over it. That a representative has to abide by its client’s instructions is nothing to look down upon. He is doing his job and nobody has the right to interfere or consider it wrong. This is not the message I conveyed. A case might look desperate, but you never know the reply if you do not ask the question. It is thus perfectly legitimate to try to save something. However, case law has gone in a certain direction as far as admissibility of late filed submissions, and especially requests, are concerned. Some decisions may simply exemplify the trend, no more no less. This has nothing to do with “told you so”. If one does not want to see reality, then he gets a bloody nose. It is however surprising, and at the same time saddening, to see patents simply being revoked, or applications being refused, because the proprietor/applicant having not been pro-active and filed its requests in due time. If a patent is allegedly so important commercially, why then wait up to the last possible moment to file requests in order to save it? I fail to understand any rationale behind such an attitude. If the patent is important, then be pro-active. Anything else is tactics and it is right for the Boards not to play this game. And this has nothing to do with production pressure and desire to get read of the cases by the Boards as is sometimes propagated. It is amazing to see how many representatives seem to blatantly ignore the rules of procedure of the BA. They are now over 10 years old! But some representatives complain that too many patents are revoked for formal reasons…..
We do not know the expectation that a person had with a certain action. We do not know how the person feels about a certain outcome. Without an indication of either, there is no place for surprise, saddening, or amazement. Any of those requires an assumption to be made about the person having been 100 % sure that his action was going to succeed, and having been thoroughly disappointed that he got a negative result. Yes, maybe the person was like that. And maybe not. If the person was like that, yes, you have a point, and yes, he should have been more dilligent and less ignorant, and he should not complain. I fail to understand the need of the last comment. It merely states the obvious. Everybody is free to utter an opinion, and those who do not like it should simply pass their way. It is too easy to complain that the Boards are to formal and revoke patents for such reasons, but at the other hand ignore the rules of procedure of the boards. Then I cannot but add that an opinion is hard to pass by when publicly posted on the internet. My question: who then complained about that? And it is not too easy to take an arbitrary decision after it has been given, put it in line with previous similar decisions, and say: "people should have known better"? I know, you do not say that literally, but to the casual observer, that is a big, underlying hint that is hard to ignore. Even though you may not mean it in that way. I sympathize with you, that persons before the Board should not complain about not getting their way if they themselves knowingly do not follow the rules. But a recurring thing is: the fact that in the case above (or in any other case for that matter) a person did not get his way, may very well not have been due to him blatantly ignoring rules. As already said many times, people may have been well aware of what they were doing. Or they may just have been trying their best, given the circumstances, willing to take the outcome just as it is. Any Board decision will in some way or another be a lesson to someone, and most probably to the person not getting their way. But, as long as we do not know whether the person was a "blatantly ignorant" person, or a person acting in good faith, saying (in retrospect (! ), and not knowing any rationale, strategy, or historical developments that have lead to a case get to a certain point, for whatever reason) "it is his own fault", for me, is a cry too far. T 1717/13 - How many tries should you get in OP?